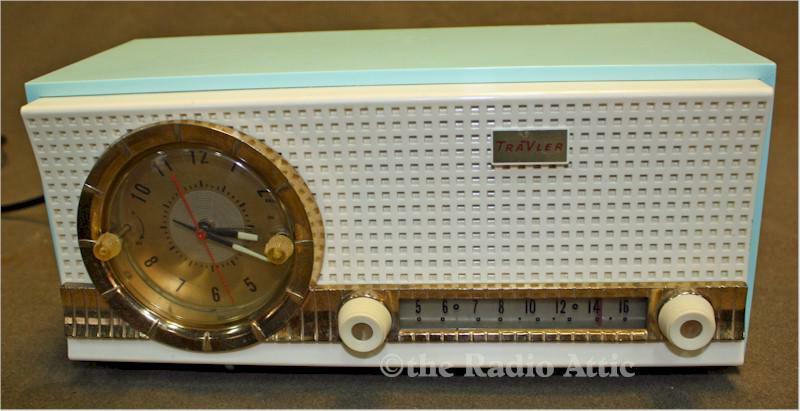 This Trav-Ler clock radio from 1958 is a fairly rare radio, especially in this aqua blue color. The cabinet is in very nice condition with all the original knobs and dial. The chassis has been fully recapped, and resistors as needed. The set has been fully aligned. The clock mechanism has been repaired and lubricated. The best I can tell, it works as it should, but I couldn't find operating instructions for it. Obviously I have much more work in this set than I can ever ask for it, but my father-in-law picked it up for me at a flea market and was so excited to give it to me that I had to restore it. 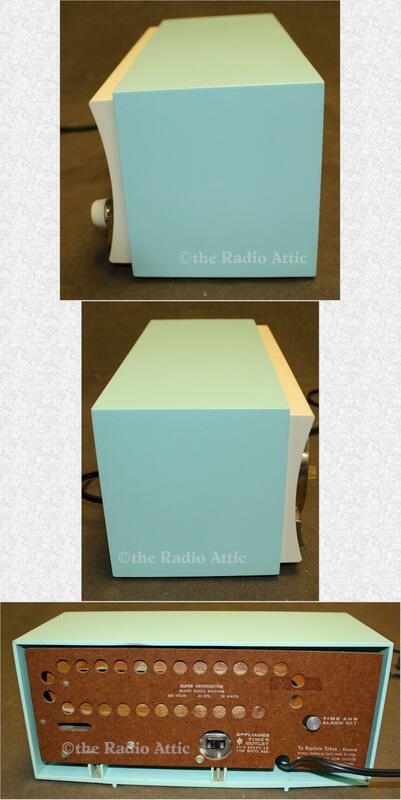 Perfect for the discriminating buyer who wants, like me, to wake up to the same kind of radio you did as a kid.